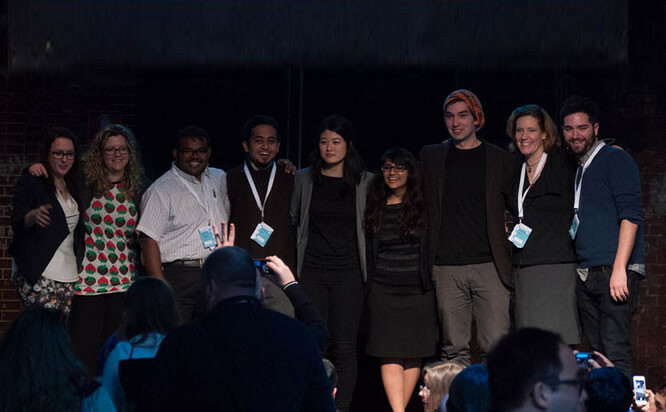 On Saturday February 8 the Interaction Design Association (IxDA) and the Bill and Melinda Gates Foundation announced the winner of the IxDA Student Design Challenge at Interaction14, IxDA’s yearly conference. Kevin Gaunt of the Umea Institute of Design in Sweden has been chosen as the winner of the student challenge. The challenge focuses on the design of the experience of the child health record, which is a critical component of current health information systems worldwide. This is also a key focus of the work done by the Bill and Melinda Gates Foundation. Over six million children under the age of 5 died last year; more than half of these deaths could have been prevented with existing interventions. The global public health community could save millions of lives in the coming years by gaining the trust of families and informing them about how to access effective information about healthcare and hygiene. But, health organizations remain challenged by how to reach remote populations with life-saving health information when these children or their parents do not speak their country’s national language or cannot read. Rethinking and designing that experience was at the heart of this year’s challenge. The solution developed by Kevin Gaunt was to encourage word-of-mouth sharing of health information in a narrative form – similar to the communities’ own fables. After a person hears the story, they are given an amulet with a stone from the village and encouraged to retell the story when someone asks what the amulet means. The award given to Gaunt consists of books from Rosenfeld Media and Cooper; design software from Adobe, Autodesk, Axure, and Clearleft; training from Cooper U and User Interface Engineering (UIE); conference registration to UX Australia; a subscription to Uber conference; and a $100 gift certificate from Core77. Finalists were selected from an international pool of exceptional graduate and undergraduate students and were invited—free of charge—to Amsterdam where they participated in a three-day challenge at IJsfontein Interactive Media, which kicked off with a master class with industry mentors on February 4. The five IxDA Design Challenge finalists this year were Dharmesh Ba and Karan Dudeja (National Institute of Design, Gandhinagar, Gujarat, India), Julie Blitzer & Hadar Geva (Domus Academy, Milan, Italy), Melody Kim (UC San Diego, San Diego, CA, USA) and Nidhi Jalwal (University of the Arts, Philadelphia, PA, USA), as well as Kevin Gaunt. Each year the topic of the IxDA Student Design Challenge is provided by an industry sponsor, and this year it is the first time the challenge is supported by an NGO. The Bill and Melinda Gates Foundation has chosen the Student Design Challenge to complement the foundation’s Record for Life contest that launched in Fall 2013 and is focused on redesigning the child health record to make it easier to interpret and use. The IxDA Student Design Challenge focuses instead on the design of the experience of the child health record: to improve how, where, and when this record is distributed, accessed and used in order to make it a more effective tool for health information and education throughout childhood. More specifically, the challenge is to support how families use the record as an informational tool that prompts choices and actions that lead to better healthcare for children.